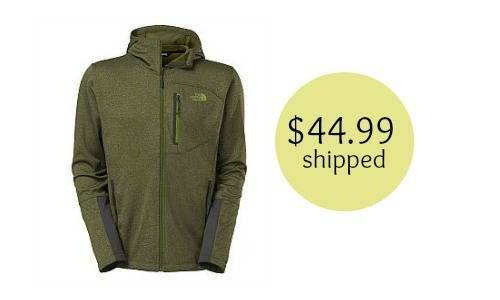 Right now you can get a good deal on a North Face jacket from Sports Authority! The Canyonlands hoodie is on sale for $59.99 and you can use code 25ONLINE to get 25% off, making the jacket $44.99! You’ll also receive FREE shipping! This jacket is regularly $85, so this is a pretty fun deal. There are six different colors available. Coupon code is valid through 12/9.